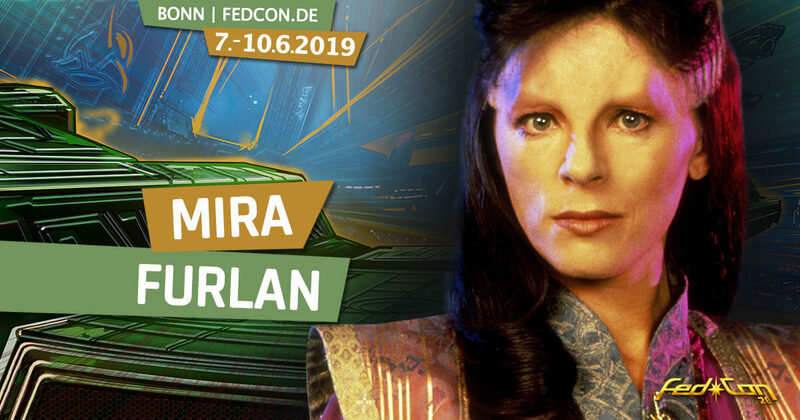 With the Croatian actress Mira Furlan, Minbari ambassador Delenn joins the illustrious star guests at FedCon 28. Born in Zagreb (former Yugoslavia) and living in the USA since 1991, the actress was featured in 110 episodes of the cult science fiction series Babylon 5 from 1994 to 1998. In 1996 she was awarded the Sci-Fi Universe Award for Best Supporting Actress. Mira Furlan is also well known to fans of the mystery TV series hit Lost by Star Wars director J. J. Abrams. On the mysterious island, she slipped into the role of the opaque Frenchwoman Danielle Rousseau in 20 episodes. The sympathetic mimin made another excursion into the SF profession as early as 1997, where she lent her voice to the mercenary Silver Sable in the Marvel animation series New Spiderman. Furlan was a well-known film and theatre actress in her former Yugoslavian homeland, who was strongly committed to peaceful coexistence. We are delighted to welcome this charismatic woman to FedCon 28. Be there and get your ticekt at the Ticket-Shop.